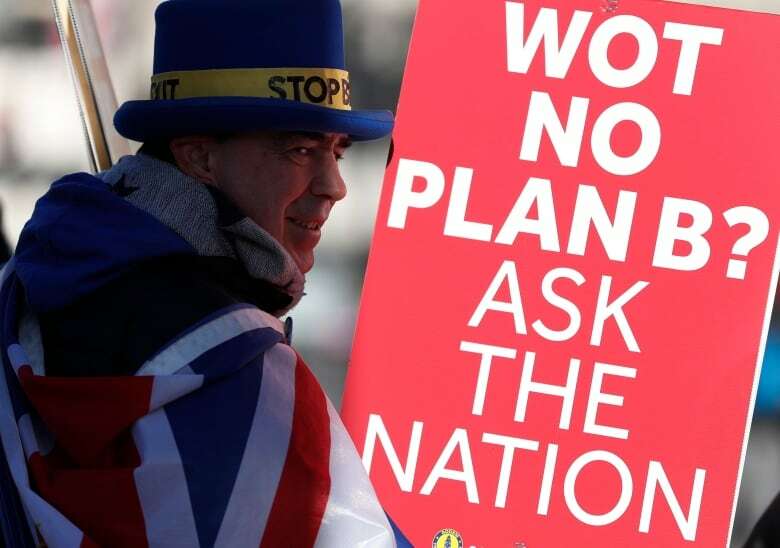 Britain's Parliament votes in favour of a proposal that calls on the government to replace the so-called Northern Irish backstop with alternative arrangements to secure the support of Parliament for Prime Minister Theresa May's Brexit deal. 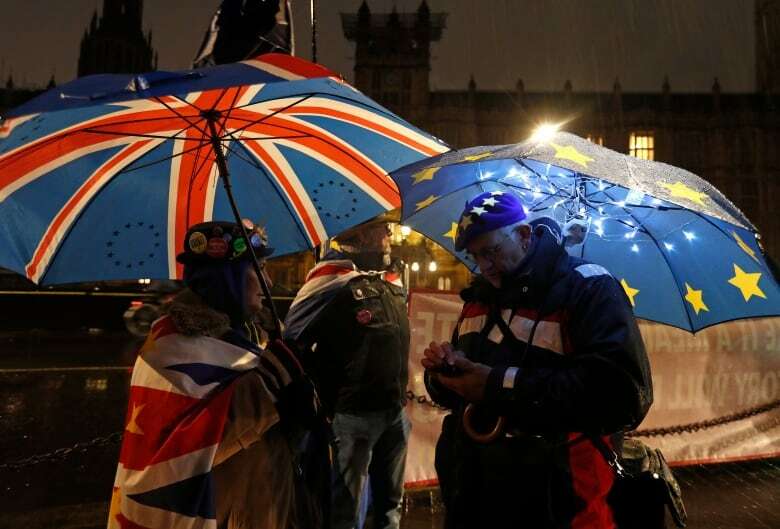 British lawmakers instructed Prime Minister Theresa May Tuesday to demand that Brussels replace the Irish border arrangement known as the "backstop," in a last-ditch attempt to renegotiate an exit treaty that the European Union says it will not change. The amendment, put forward by influential Conservative lawmaker Graham Brady, passed by 317 votes to 301. It is intended to strengthen May's hand when she returns to Brussels to try to renegotiate — something the EU again ruled out within minutes of the vote. "Tonight, a majority of honourable members have said they would support a deal with changes to the backstop," May said, only two weeks after her divorce deal was crushed in the biggest parliamentary defeat in modern British history. The amendment calls for the backstop to be replaced with unspecified "alternative arrangements" to avoid the reintroduction of border checks in Ireland, and says Parliament would support May's Brexit deal if this change were made. 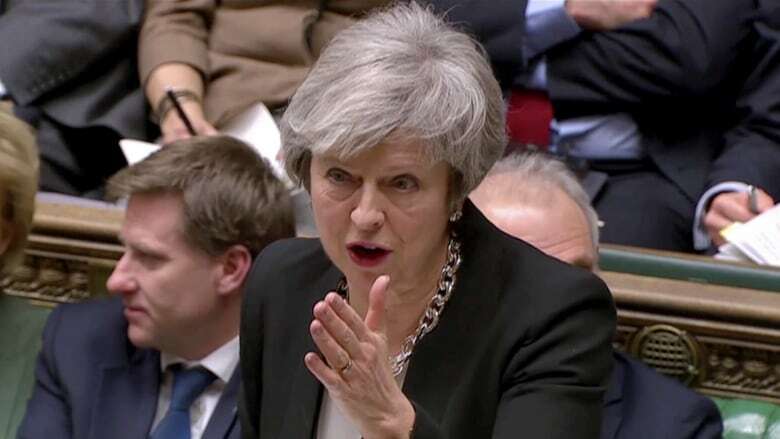 However, Brussels has repeatedly said it does not want to reopen the treaty, which has been signed off by the other 27 EU leaders, and has said the "backstop" is needed to ensure there can be no return to a hard border between Northern Ireland, which is part of the U.K., and the Republic of Ireland. "The Withdrawal Agreement is and remains the best and only way to ensure an orderly withdrawal of the United Kingdom from the European Union," Tusk said via a spokesperson. "The EU has been clear on this point," French President Emmanuel Macron's office said in a statement. Ireland's European Affairs minister said Tuesday that May's demand for binding changes to the backstop amounts to reneging on her government's commitments. "It's exasperating at this stage because this is a deal which was negotiated with the U.K., by the U.K., signed off by the U.K. and the prime minister — and now it looks as though this evening, essentially, there is a row-back and a reneging on the commitments that were made," Helen McEntee told Irish national broadcaster RTE. The so-called Spelman amendment "rejects the United Kingdom leaving the European Union without a Withdrawal Agreement and a framework for the future relationship." "I agree that we should not leave without a deal," May said. "However, simply opposing no deal is not enough to stop it. The government will now redouble its efforts to get a deal that this House can support." On behalf of the 27 EU states remaining in the bloc after Brexit, Tusk said, "We welcome and share the U.K. parliament's ambition to avoid a no-deal scenario. We continue to urge the U.K. government to clarify its intentions with respect to its next steps as soon as possible." "Should there be a U.K. reasoned request for an extension, the EU27 would stand ready to consider it and decide by unanimity."